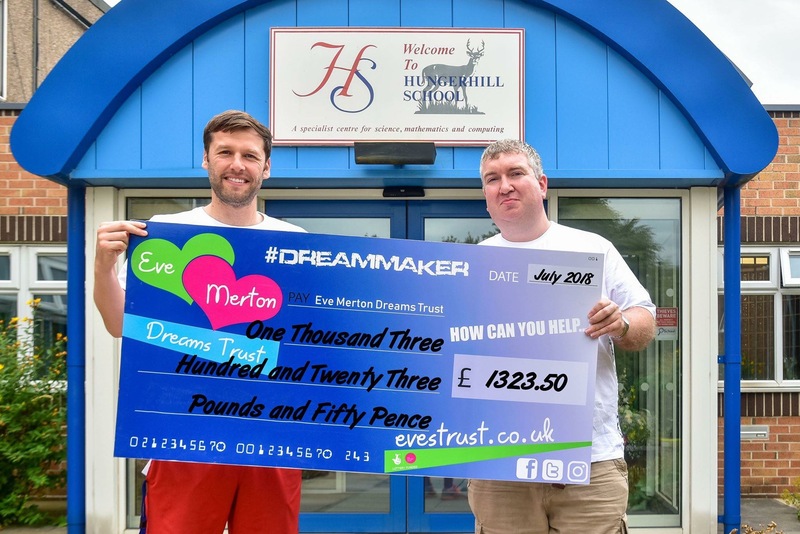 Before the schools broke up for the summer, we were invited to Hungerhill to collect a cheque. That cheque would represent the fundraising exploits of the teachers and pupils of Hungerhill school. Earlier this year, and with the help of OneCall Insurance, we were able to answer a dream for a young pupil at the school, which has only seemed to fuel them to “Pay it Forward” and continue to raise funds to help more Doncaster people. £1323.50 is a huge total for a group of students that don’t have jobs or a regular income, they raised money for other people by using pocket money, dinner money or whatever they had at the time. They did this solely to help others and we could not be prouder and more appreciative of their efforts. Hungerhill School, we at EvesTrust thank every last one of you. You are showing the way.